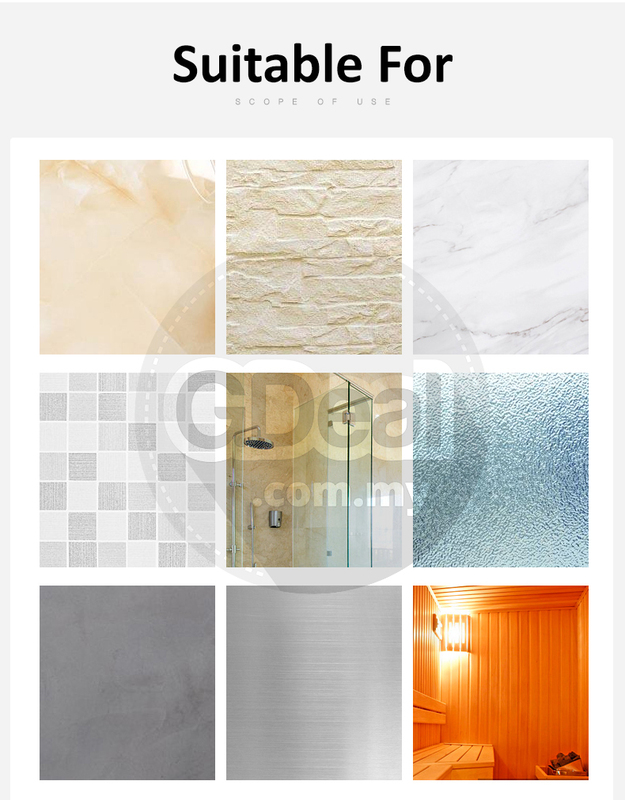 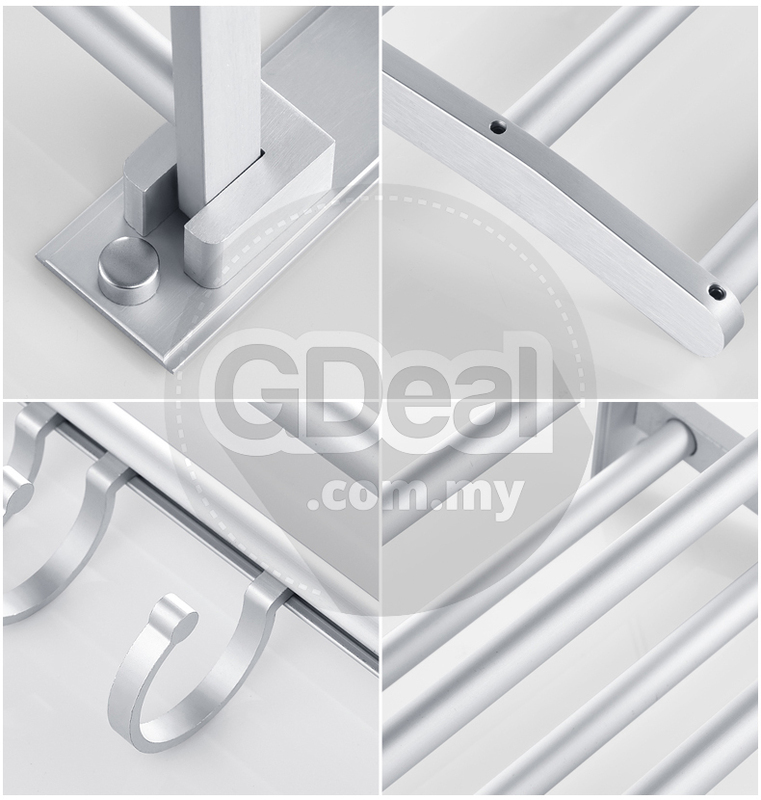 Solid aluminium construction, ensuring quality and longevity. 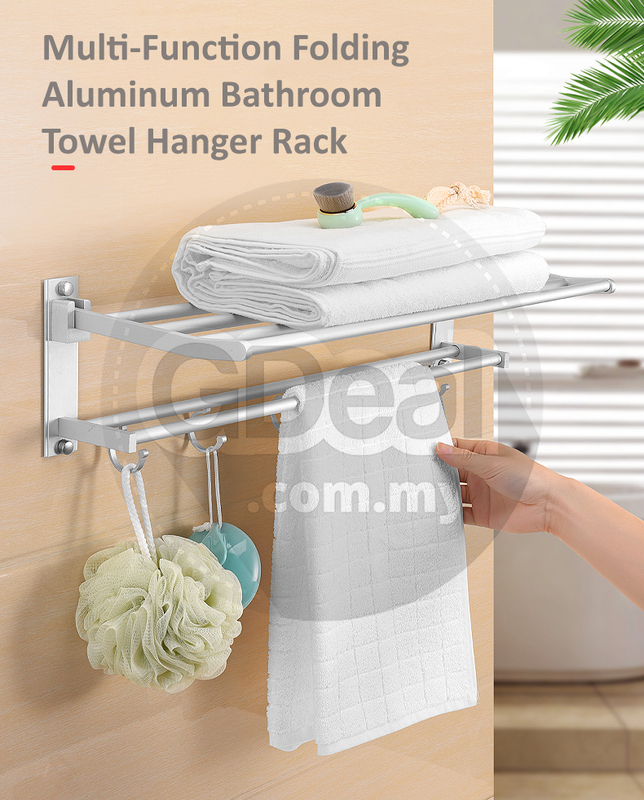 Five hooks for hanging towels and bathroom accessories. 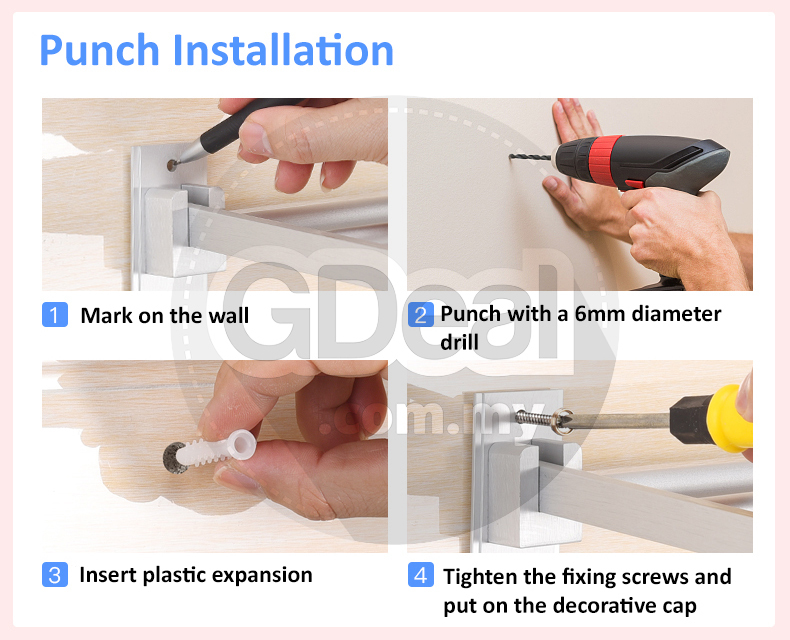 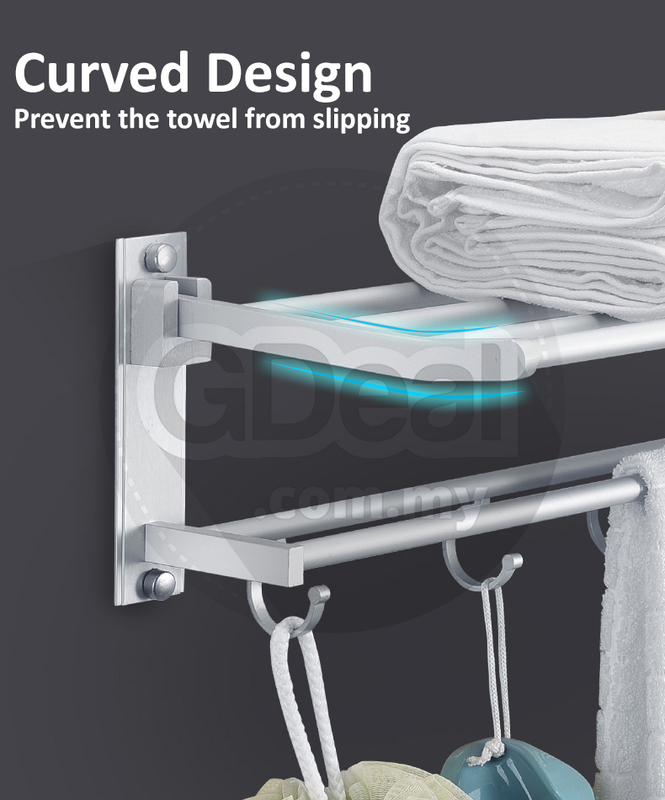 Super strong screws, super load-bearing ability, not deformed. 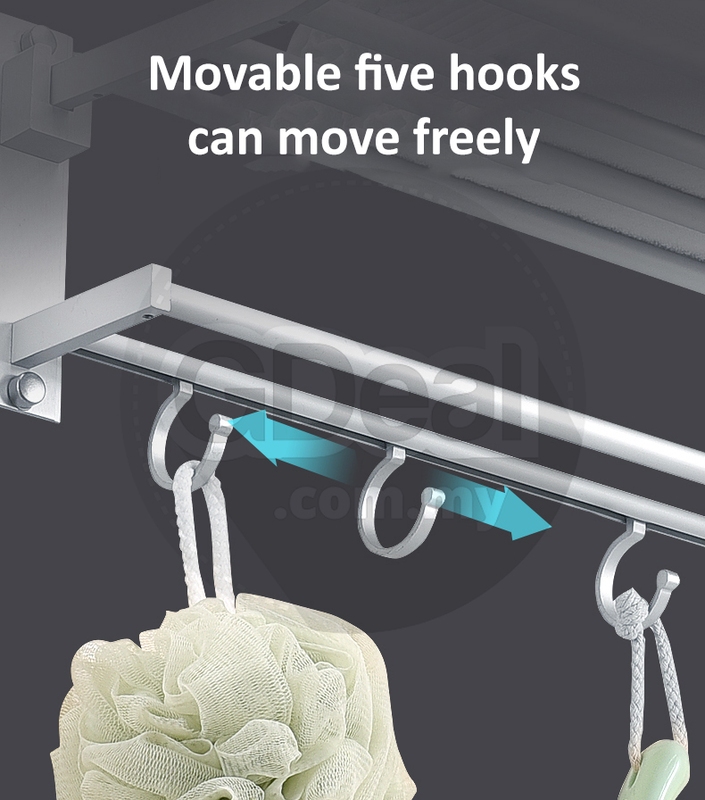 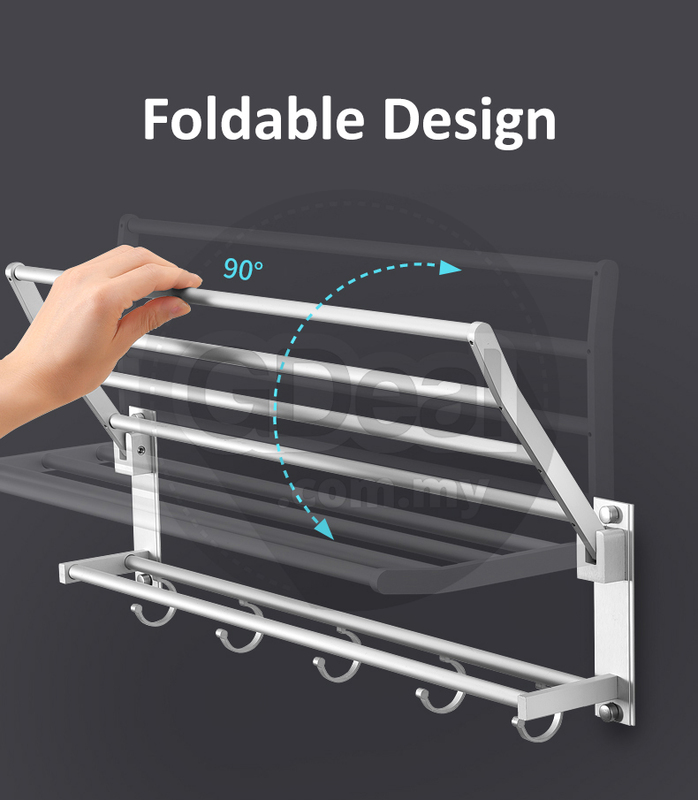 Movable five hooks, user-friendly design, can move freely. 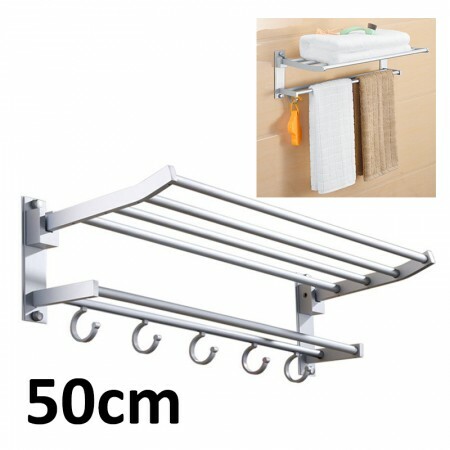 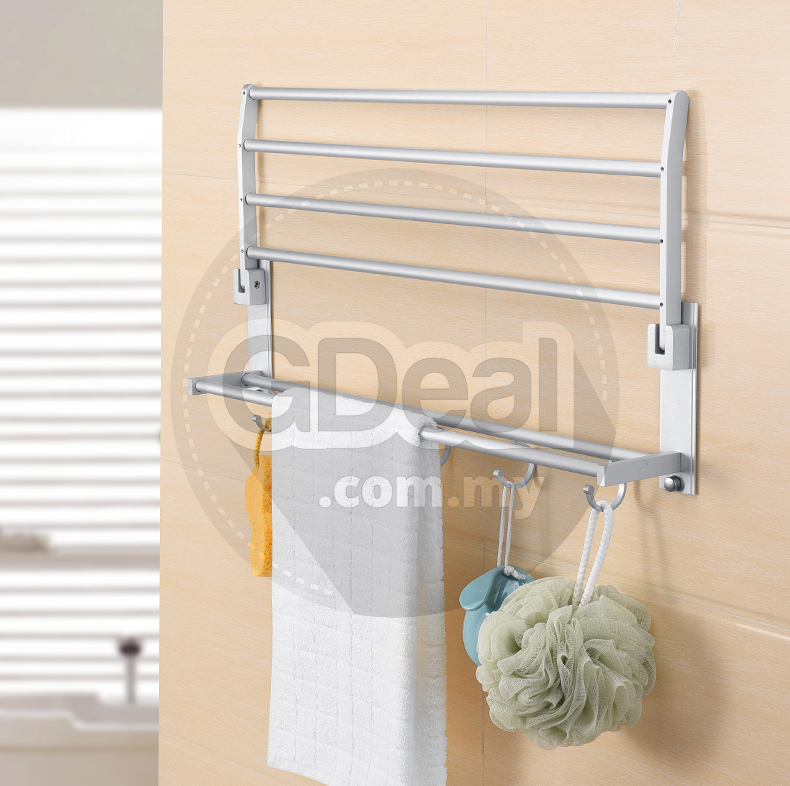 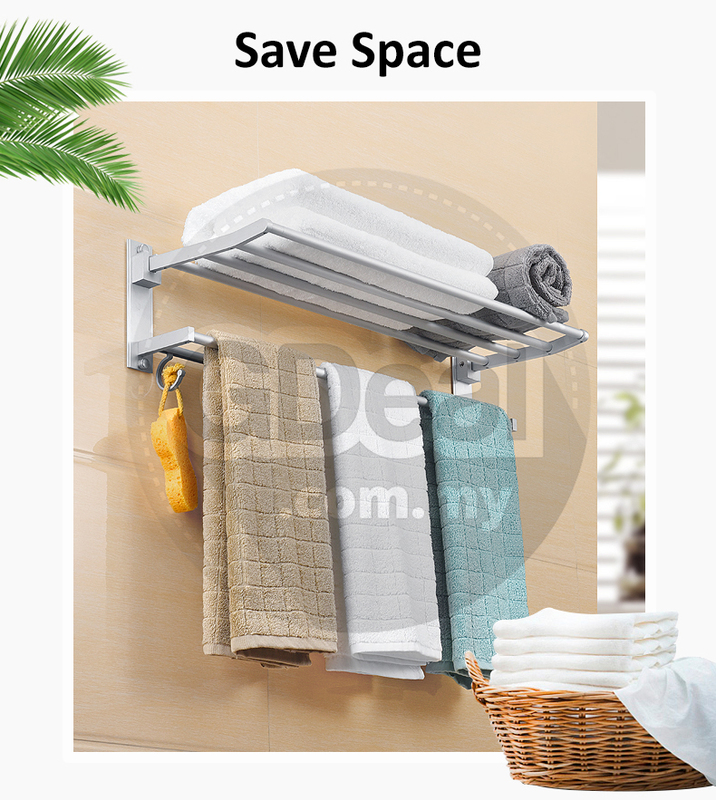 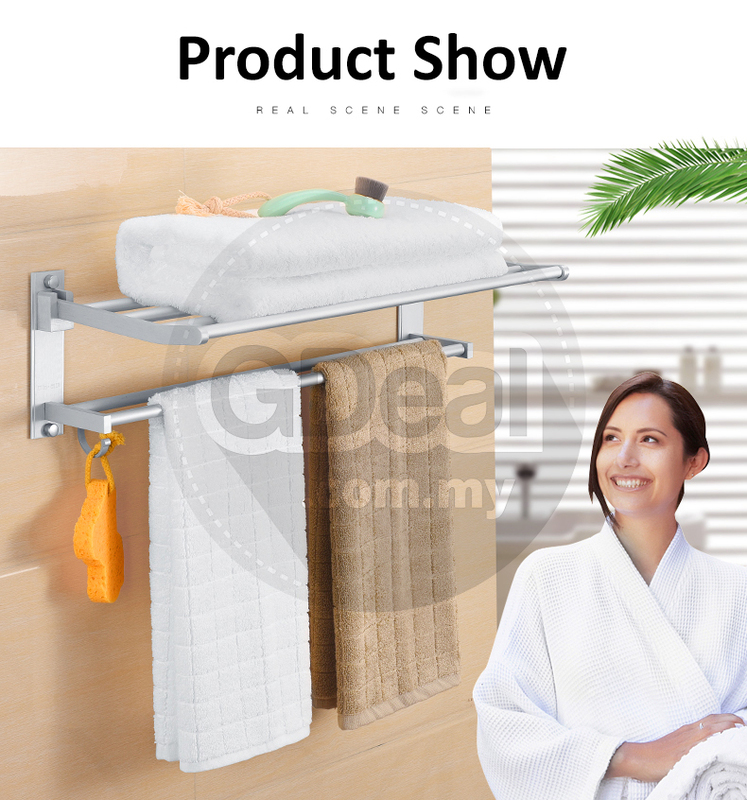 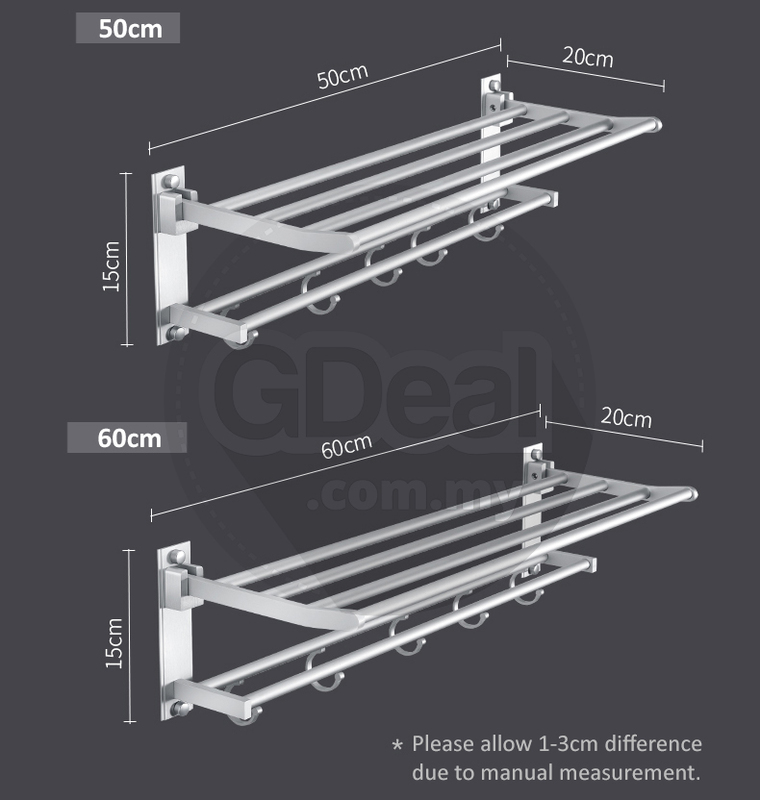 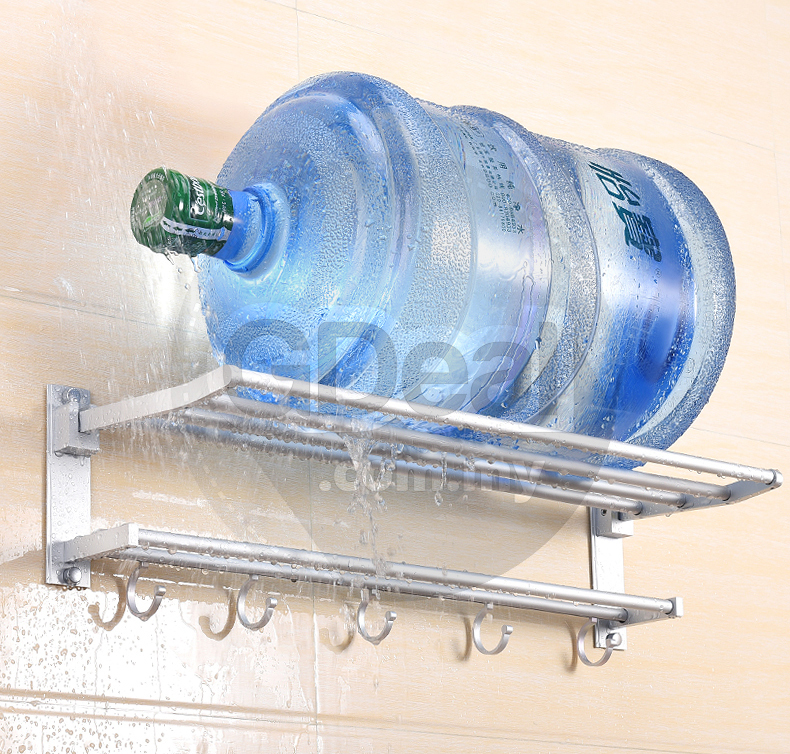 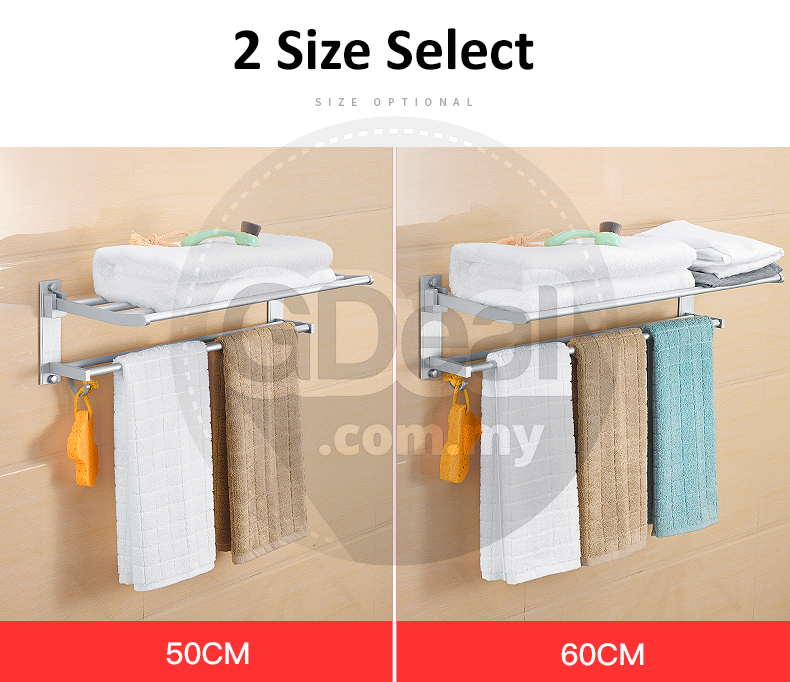 Modern movable towel shelf, with 5 robe hooks and single towel bar.